Summer has officially began, with the Solstice last Saturday! I went to the beach yesterday with the girls and had a ton of fun :)! 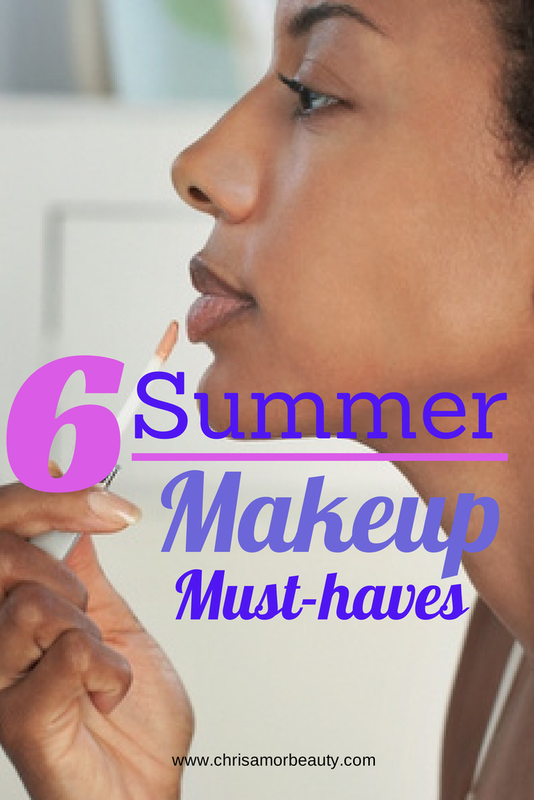 Though it is summer, it didn't mean we have to go bare faced to beat the heat. Here are a few things to keep you looking your best with minimum effort! BTW don't miss out on the amazing giveaways going on now! Not only can you use it as a wash of colour all over the eyelids, but you can also highlight your cheekbones, bridge of your nose, Cupid's bow and your forehead with a gold or champagne eye shadow.Just make sure you get a quality eyeshadow that isn't too glittery, so you don't like a disco ball in the sunlight. Coastal Scents makes some very affordable pan eye shadows. L'Oreal and Wet n' Wild also make some gorgeous single shades. Mascara, coloured eye liners, clear brow gel/ wax will be a girl's best friends for summer weather. We don't want to look too plain when we head to the beach or a pool party, and we still want to enjoy the water too, so waterproof products are a safe bet. Right now, I'm loving the L'Oreal Voluminous waterproof mascara, and the Maybelline Great lash clear to tame my brows. I've not that many fun, bright eye liners but I know Milani, Jordana, NYX and Urban Decay make a ton of waterproof ones in plenty of colours. Lipstick is fun and all, but who has time for the maintenance when they're at a picnic or the beach? I've learnt my lesson from that and coloured lip balms or even lip balm-like products are the way to go. I'm talking about all these new chubby lip crayons that are supposed to be moisturising and long-wearing. Revlon, L'Oreal, Flower Beauty, Clinique, just about everyone has done them. Whereas for lip balm, you know I just can't stop singing the praises to my Maybelline Baby lips. Now there are so many colours and some are even medicated and have SPF. I have active acne and lots of scars from it too, so a good, light-weight concealer, would be my summer friend, rather than liquid foundation which just doesn't always stand up to Barbados heat. I have heard much about the Maybelline Fit Me concealer, the NYX HD concealers and MAC Mineralized concealer. I've tried the L'Oreal True Match crayon and I think it holds up well too. If your skin just needs to be evened out, then mineral foundation can help, and at the same time is waterproof and provides SPF. BareMinerals seems like a good option, especially with kits like these. After the cover-up, you still want to have some dimension to your face. I'm not talking about HD video contouring, but just a bit of product around the perimeter of your face and a bit on your cheeks for the sun-kissed goddess look. Make sure to choose a colour about 2 or 3 times darker than your skin-tone and remember less is more when you apply it. I love the e.l.f. Blush & Bronzer kit in Turks & Caicos, the bronzer has in just enough shimmer to not look too flat and give a lovely glowy look. You can't go wrong with bright pinks, blues and greens on your toes and fingers for summer. Many brands make great colours, NYX, Sinful Colors, Wet n' Wild, O.P.I. and the list goes on! In case you might have missed the first few posts in this series, here they are!